I can never betray Goodluck Jonathan, I only need him to prove that I am innocent, says ex-PDP spokesperson, Olisa Metuh – Royal Times of Nigeria. Former PDP spokesperson, Olisa Metuh, says he would never allow himself to be used against ex-President Goodluck Jonathan. 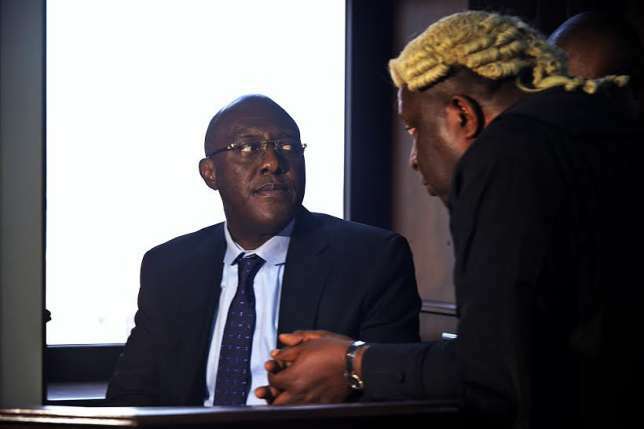 Metuh through his counsel had asked the Federal High Court to issue a summon on Former president Goodluck Jonathan to appear as a witness in his ongoing trial. Metuh is accused of collecting N400 million from the office of the former Naitional Security Adviser, Sambo Dasuki. Justice Okon Abang of the Federal High Court on Monday October 23rd, signed the summons and asked the court Bailiff to ensure it gets to Jonathan so he can appear at the next court hearing. In a statement released yesterday October 26th, Metuh says he is not calling on Jonathan to appear in court to humilate him but he wants the former president to come into the witness box to prove that he is innocent in the charges of money laundering leveled against him by the Federal government. The statement partly reads, “It is, therefore, inconceivable and completely ridiculous for anybody to think that I would for any reason betray or surrender myself to be used against President Goodluck Jonathan, for whom I have immense respect and served diligently, without any apologies, in and out of office. “However, with all the controversies arising from the reports of the said pronouncements and the attendant concerns thereof, I have instructed my legal team to revisit and review the entire issue of the subpoena,” .